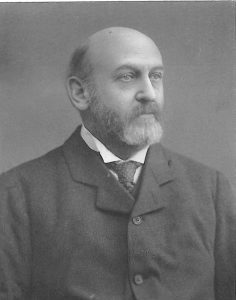 Was born in 1851, and educated at York and Edinburgh University. He is a member of the Royal Yacht Squadron, and Commodore of the Royal South-Western Yacht Club. He is an enthusiastic small-boat sailer, and has raced in the smaller classes. The Windrush, 3-tons lugger, built by Sibbick in 1893, was purchased by Sir John, and raced at Plymouth, winning a good number of flags. Sir John also owns the s.y. 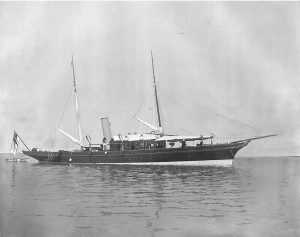 Gelert, 122 tons, designed by St. C. Byrne, and built by Fullerton, Paisley. She is built to Lloyd’s highest class. Clubs: Royal Yacht Squadron, Royal South Western, Royal Western of England. Residence: 48, Belgrave Square, S.W.